Windows periodically releases updates for its products, including the Windows 7 operating system, to fix bugs or enhance the products' functionality. 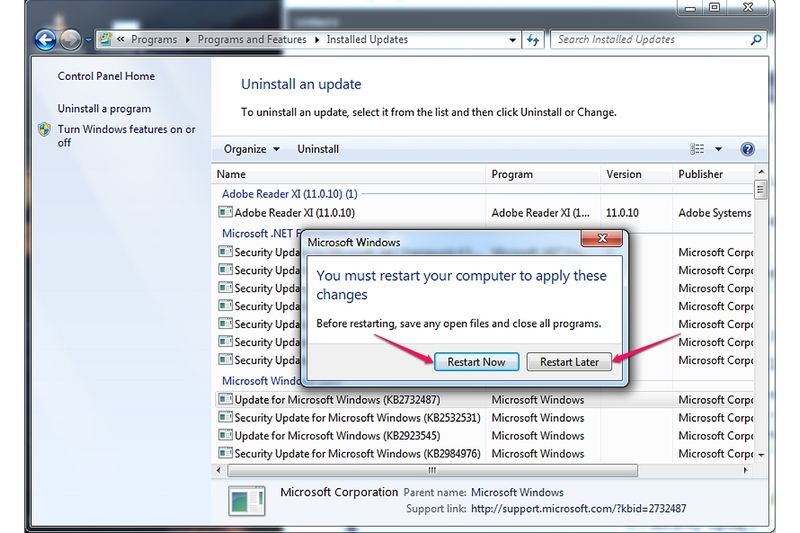 Remove recent updates if you think they cause problems with your programs or OS. Although updates from Windows are tested prior to release, in many cases, they have caused crashes or freezes. In some cases, an update may cause a program to stop working correctly. However, removing security updates may leave your computer vulnerable to some types of cyber attacks. 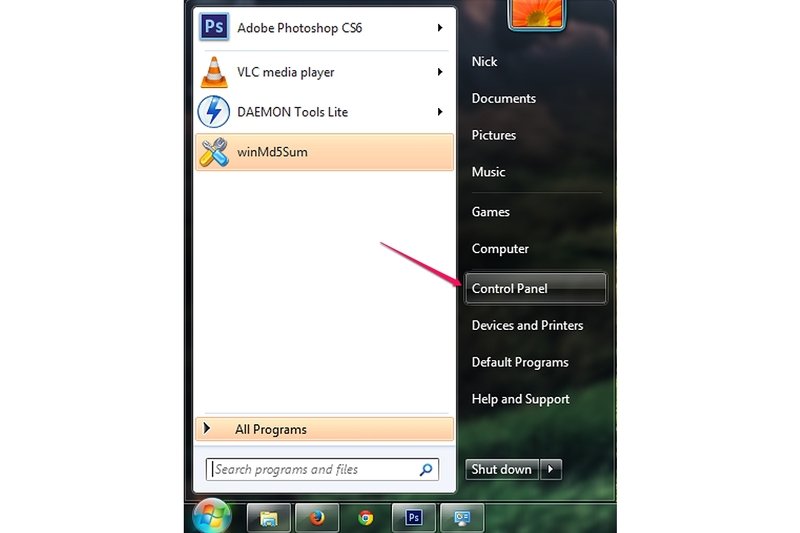 Click the Start button to expand the Start menu and select "Control Panel" to launch the utility. 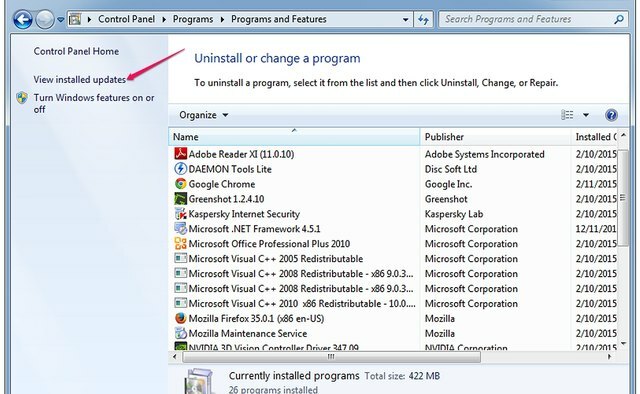 Click the "Uninstall a program" link in the Programs category to view all programs installed on your computer. The default view in Control Panel is Category. 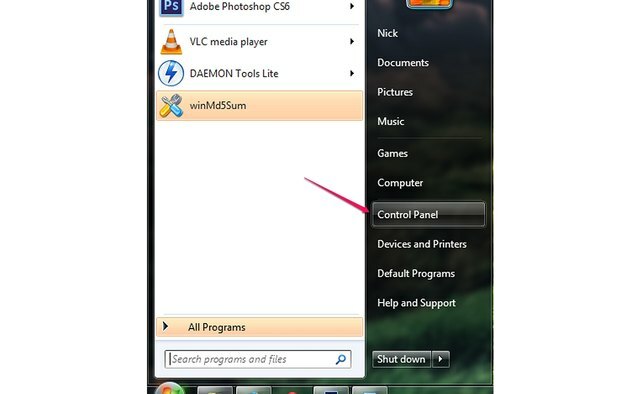 If you don't see the Programs category, select "Category" from the "View By" drop-down menu. Click the "View installed updates" in the left pane to view all updates installed on your computer. The list also contains updates released by software developers for their applications. 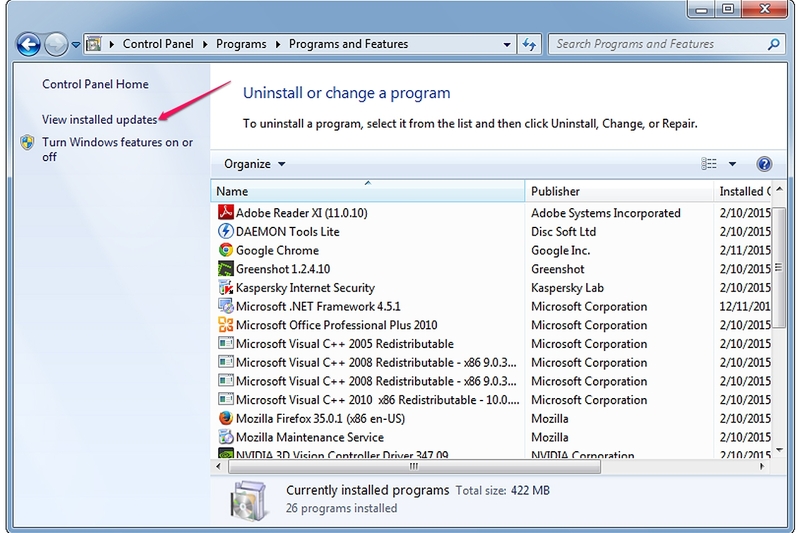 Locate the update you wish to uninstall, select it and click the "Uninstall" button. Operating system updates are listed in the Microsoft Windows section. 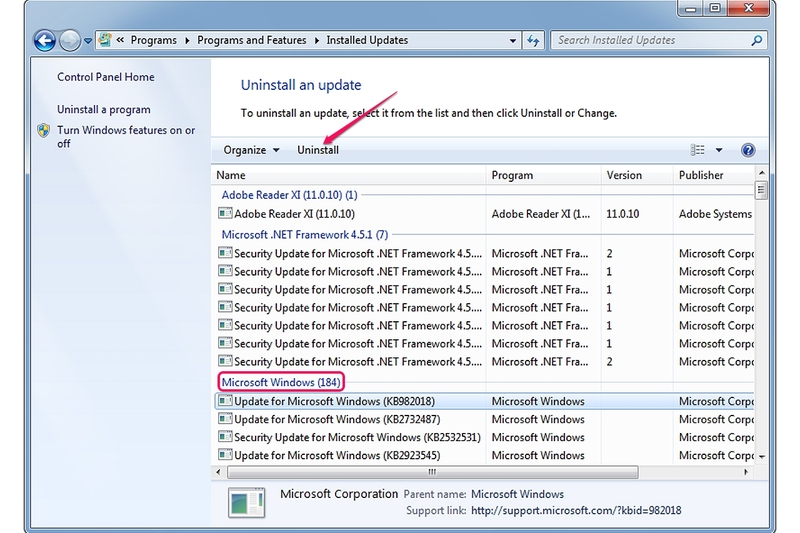 Other updates -- such as Adobe Reader or .NET Framework updates -- are listed in separate sections. 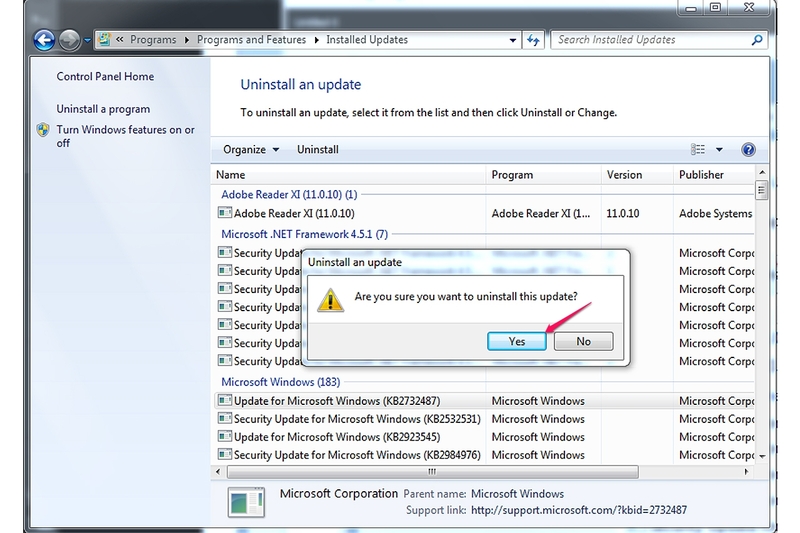 Click "Yes" when the Uninstall an Update dialog displays to uninstall the selected update. The process may take a few minutes. Click the "Restart Now" button to restart your computer after the update has been successfully uninstalled. To postpone the restart, click "Restart Later." Windows updates are designed to protect your computer, fix bugs and enhance the performance of the operating system. Uninstalling them may have negative effects on Windows. To see the most recent updates installed by the Windows Update service, open the View Update History section of the Control Panel. Click Start, type "update" into the Search box and select "Windows Update." Click "View update history" in the left pane to view the update history. 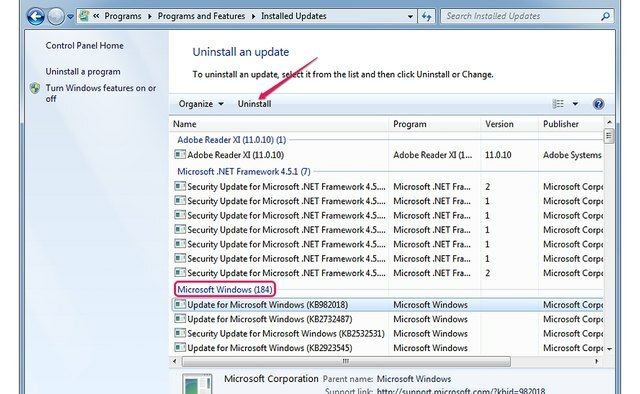 Hide the updates to prevent Windows Update from reinstalling them. 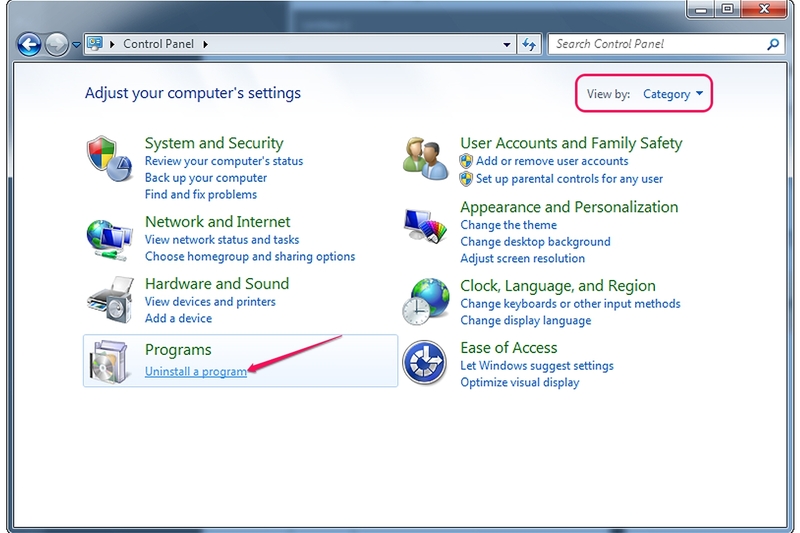 Open the Windows Update section of the Control Panel, click "Check for updates" in the left pane and wait for Windows to list all available updates. Right-click the update you wish to hide and select "Hide update." 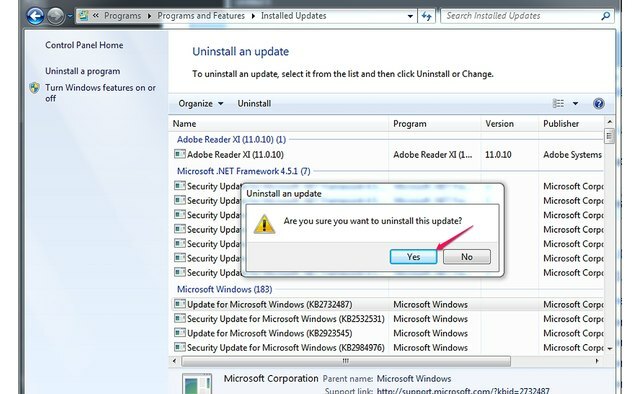 Removing security updates may leave your computer vulnerable to some threats and exploits.